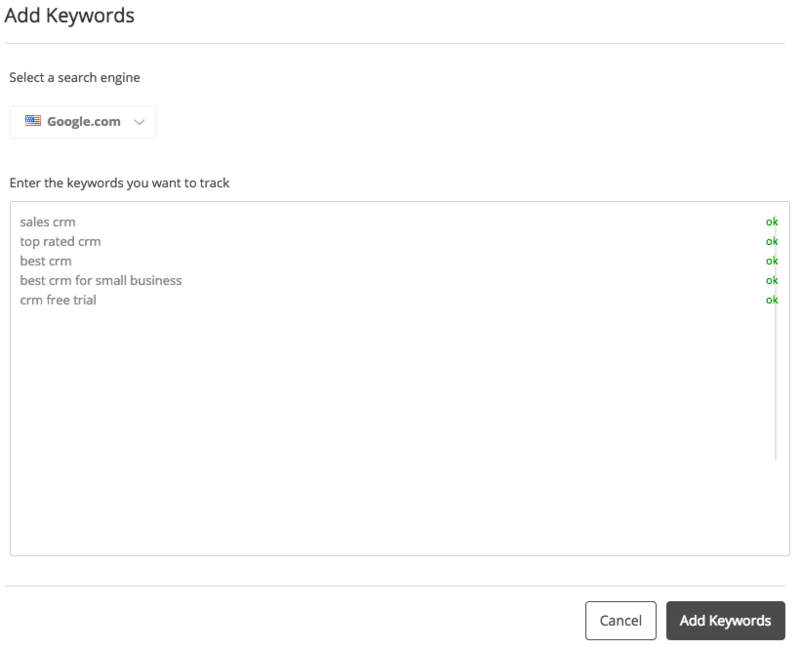 Enter some keywords to start tracking and we'll get to work. Adding keywords to your Kompyte account couldn’t be easier, and it’s the first thing to do when setting up your account. Go to the Keywords section, click the ‘Add Keywords’ button, copy and paste your keywords into the box, and click ‘Add Keywords’ at the bottom of the screen. Boom, done. The default search engine is Google US, so if you want to track keywords in other domains such as Google UK, Google France etc., just choose the relevant search engine before you click ‘Add’. We’ll start giving you data on those keywords right away, including you and your competitors’ organic rankings, AdWords campaigns that include these keywords, Google search results, and whether these keywords are ‘strength’ or ‘weakness’ areas in your own strategy. Want to focus on a competitor’s organic and paid keywords? Just choose a competitor in the Competitors section of Kompyte to open up the Competitor Overview. 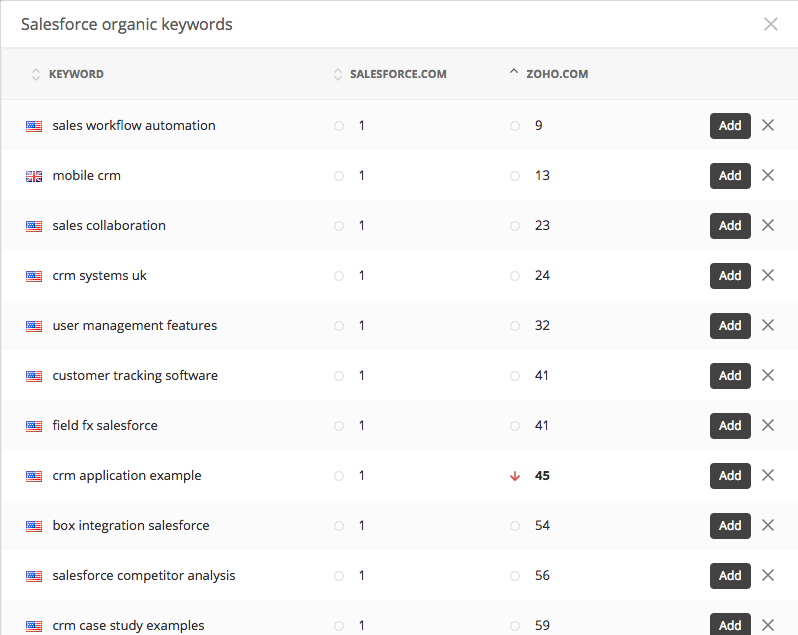 Here you’ll see all their organic keywords in the SEO section, and their paid keywords in the Ads section. Click ‘View all’ to check them out, and click ‘Add’ next to any keywords you want to get intel on. Help yourself, you’re welcome.